The European Conference on Silicon Carbide and Related Materials (ECSCRM) is a highly-anticipated event, held every two years, that represents an important international forum that brings together world-leading specialists working in different areas of silicon carbide and other wide band gap semiconductors. 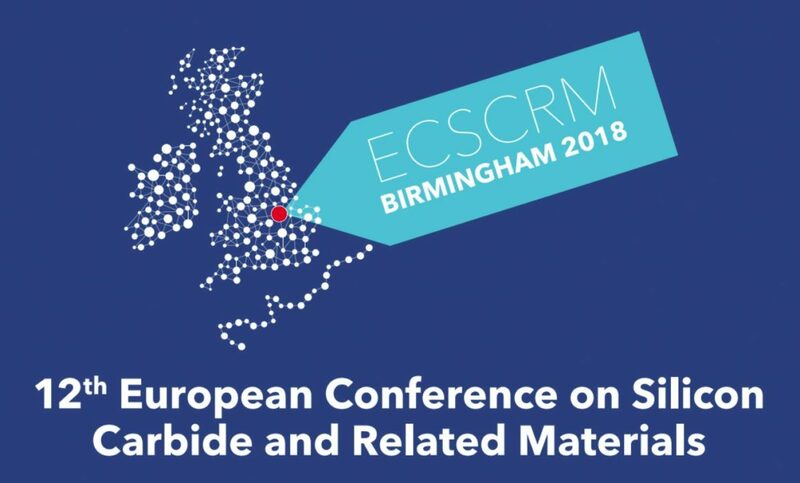 The ECSCRM2018 was held in Birmingham, UK, September 2-6, 2018 and counted the participation of more than 600 academic and industrial scientists, from all over the world. Several members of the WInSiC4AP team participated in this important event, presenting the results achieved during the first 14 months of the project. In particular, the WInSiC4AP team contributed to ECSCRM2018 with one invited talk (CNR-IMM), two oral presentations (STMicroelectronics) and two poster presentations (CNR-IMM and University of Tours). The complete conference program can be downloaded here. The conference proceedings will be published in 2019 on Material Science Forum.